As students across the state round out the school year, they’ve got plenty of things to look forward to. 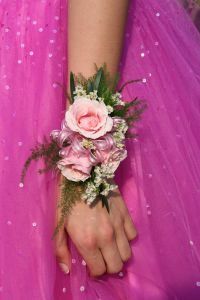 Some students are finishing their spring breaks, and right after that they get to look forward to prom and summer break. This is also a time when teenagers across the state will be hitting our roadways in search of some fun. Unfortunately, for many of these young drivers that fun includes alcohol and getting behind the wheel of a motor vehicle. This time of the year is typically when we see a significant increase in the number of alcohol-related car accidents in Boston and elsewhere among teenage drivers. As a matter of fact, we’re already seeing the trend in the area. In Reading, a teenage driver was pulled over and arrested for drunk driving on Lowell Street just this past weekend, according to the Reading-North Reading Patch. Our Massachusetts personal injury lawyers understand that teenagers may not be old enough to purchase alcohol from the store, but that doesn’t mean they can’t get their hands on it and that they’re not going to drink it. As a matter of fact, alcohol is associated with some of the top causes of teenage deaths: car accidents, suicides, homicides and accidental deaths. Parents and teachers are urged to head off this problem before prom and summer break gets into full swing. Talk with the teens in your life today about the potentially fatal consequences that accompany drinking and driving. -Nearly 50 percent admitted to consuming some amount of alcohol. -More than 25 percent admitted to binge drinking. -More than 10 percent said they drank alcohol and then drove. -Nearly 30 percent admitted to riding with a driver who had been under the influence of alcohol. According to the National Highway Traffic Safety Administration (NHTSA), teens are at a higher risk for alcohol-related accidents that all other drivers. This is alarming considering they’re not even legally allowed to drink. As a matter of fact, more than 30 percent of drivers between the ages of 15- and 20-years-old who were killed in a car accident in 2006 were under the influence of alcohol at the time of the accident. Parents and school leaders are asked to talk with teens about the dangers of drinking and driving before we hit our prom and summer season. Ask teen drivers to make the pledge to drive alcohol-free this year. Share the message — drinking isn’t legal and it diffidently isn’t cool. Getting into a fatal accident because of alcohol consumption isn’t cool either, it can be deadly. Let’s make sure all of our teens and students make it through this year safely and soberly. The Law Offices of Jeffrey S. Glassman, LLC is here to offer assistance to those and the family of those who have been injured or killed in a drunk driving accident in Massachusetts. If you or the teen driver in your family has been injured or killed in an alcohol-related car accident, call 1-888-367-2900 to schedule a free appointment to discuss your rights.